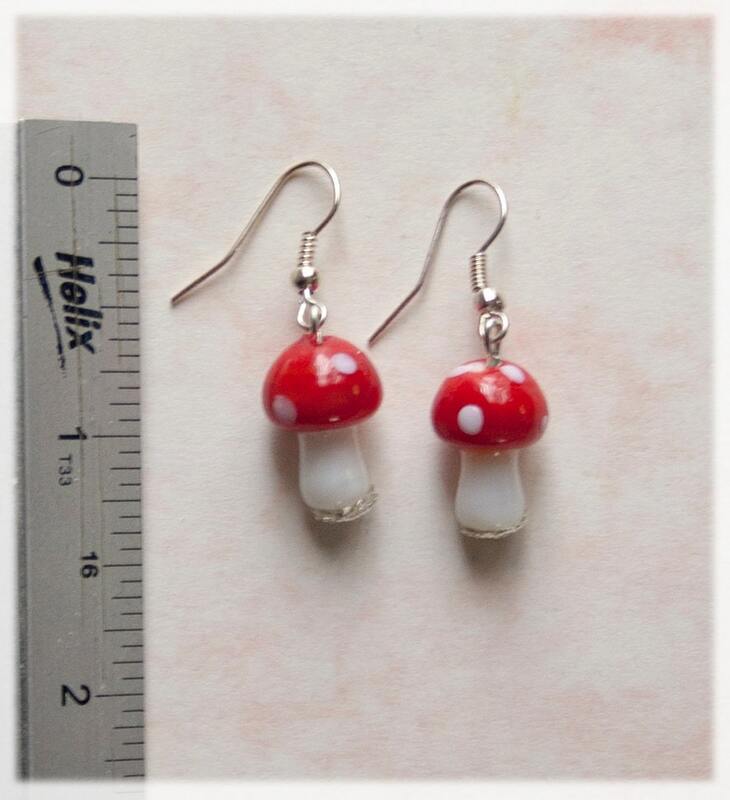 Magical woodland fairy mushroom earrings, hand crafted in my magical faery studio. 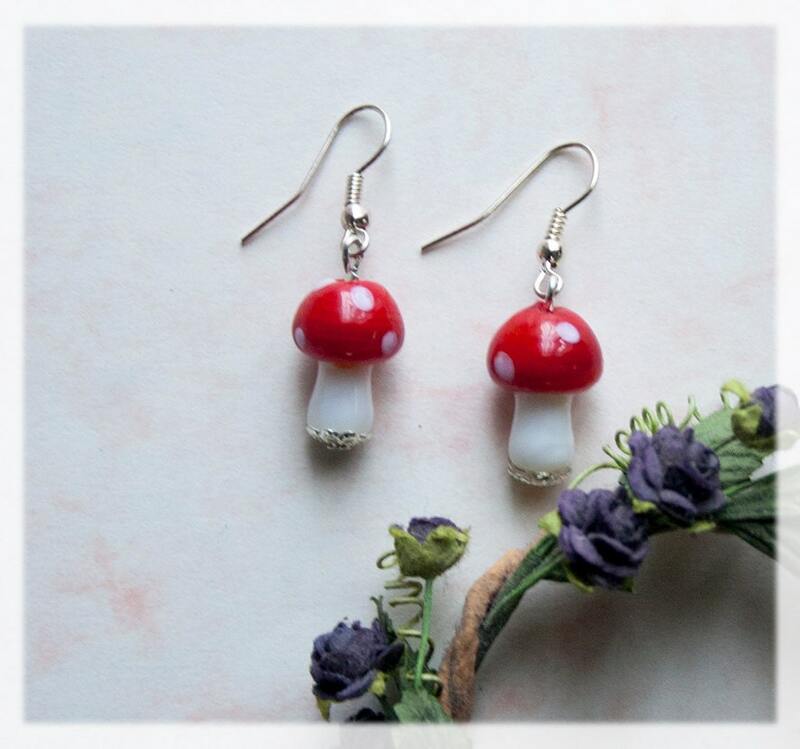 These woodland fairy inspired earrings are set using silver tone finding with an adorable and exquisite lamp work spotty red mushroom beads. 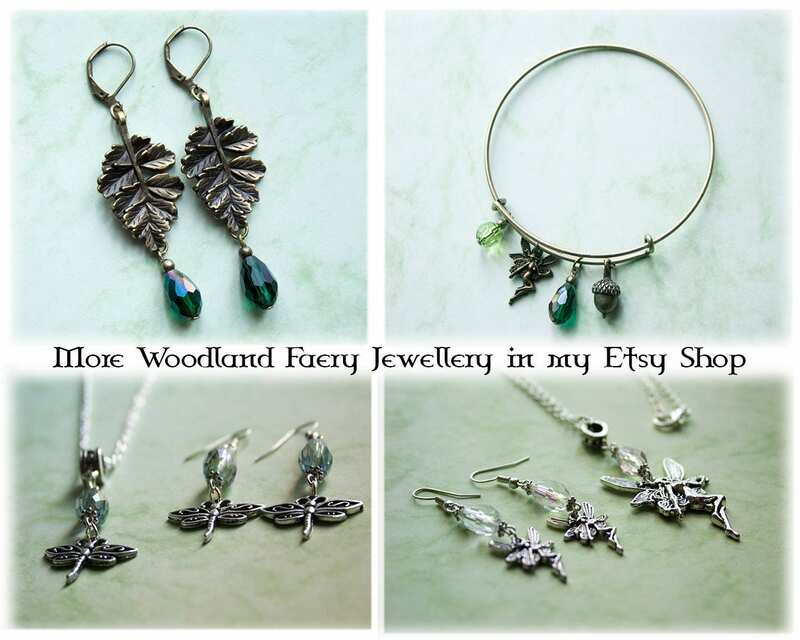 Perfect for any forest fan or lover of the wild woodlands! 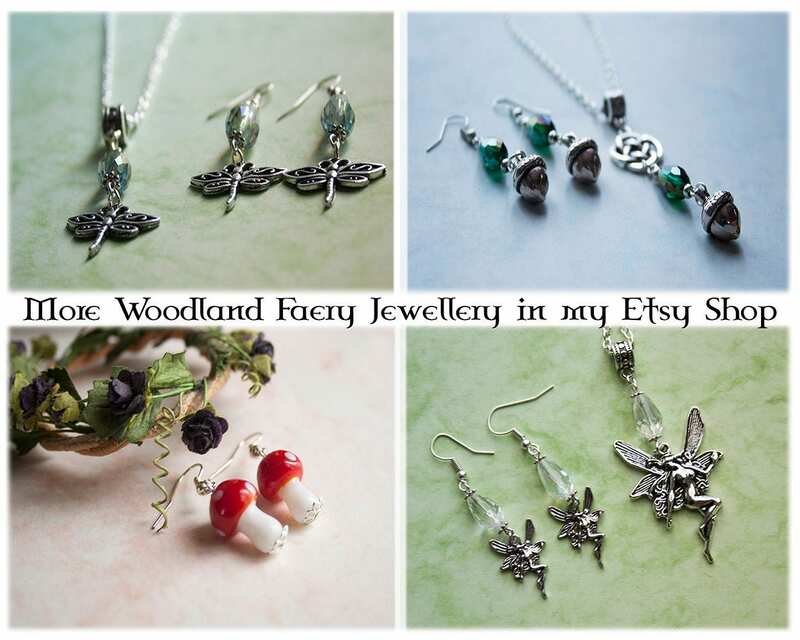 Inspired by little red faerie mushrooms found in woodlands and forests! 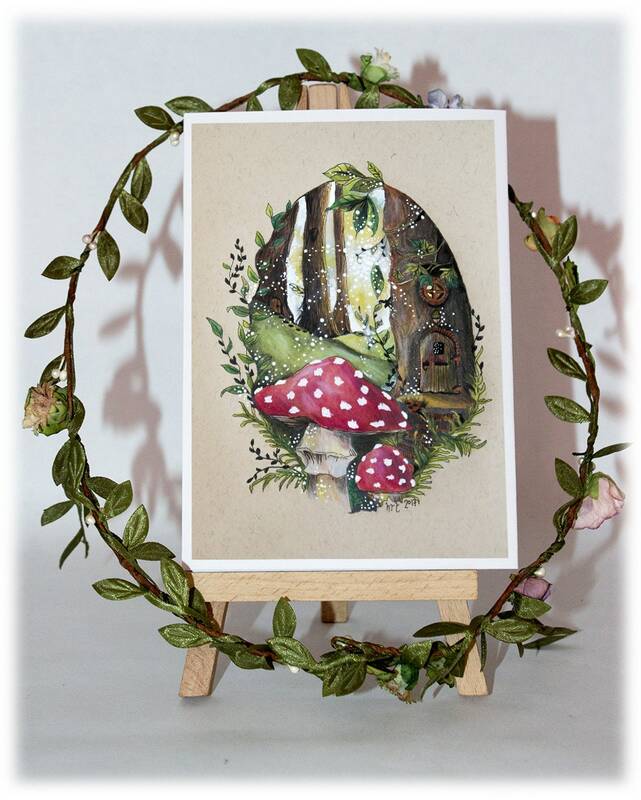 I just adore these little mushrooms and always remind me of the little faerie folk being near! 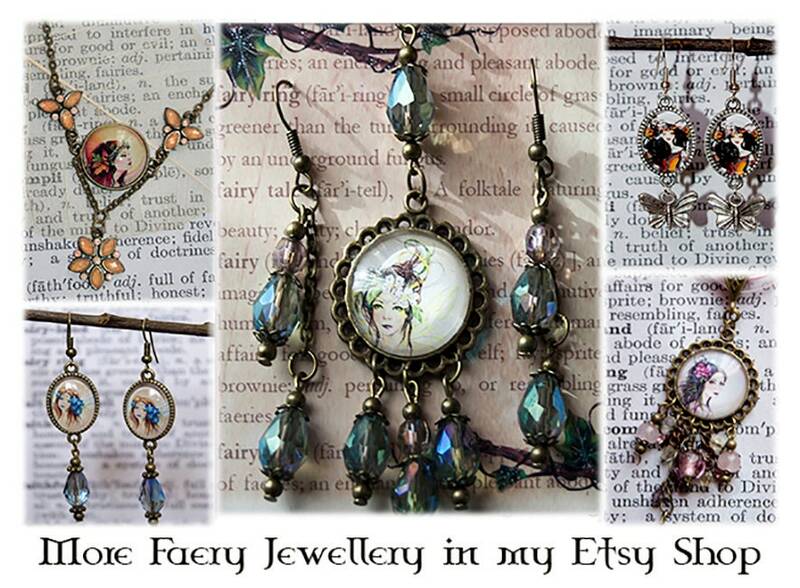 Just simply stunning to wear, this would be great as a gift for a fairy fan or to treat yourself with a pair of unique earrings! 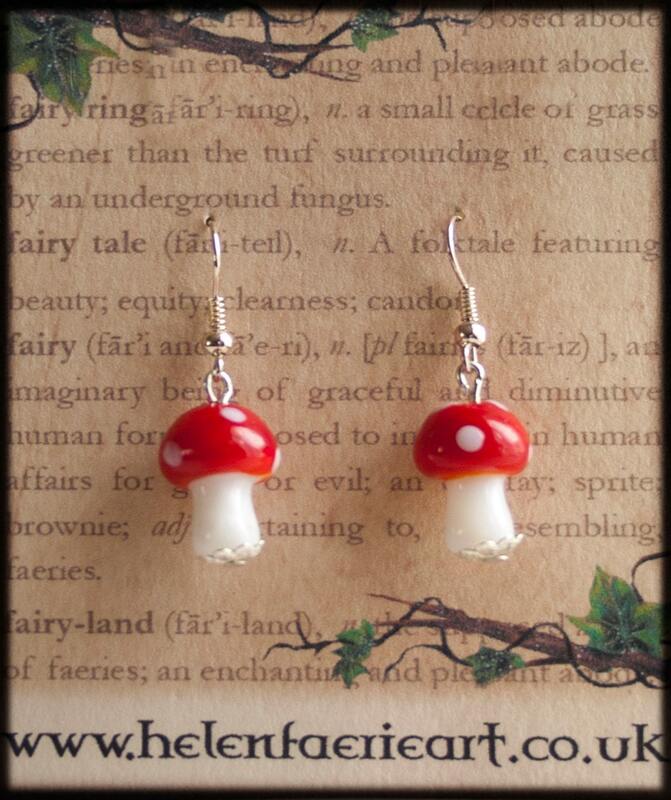 Absolutely love them!!! 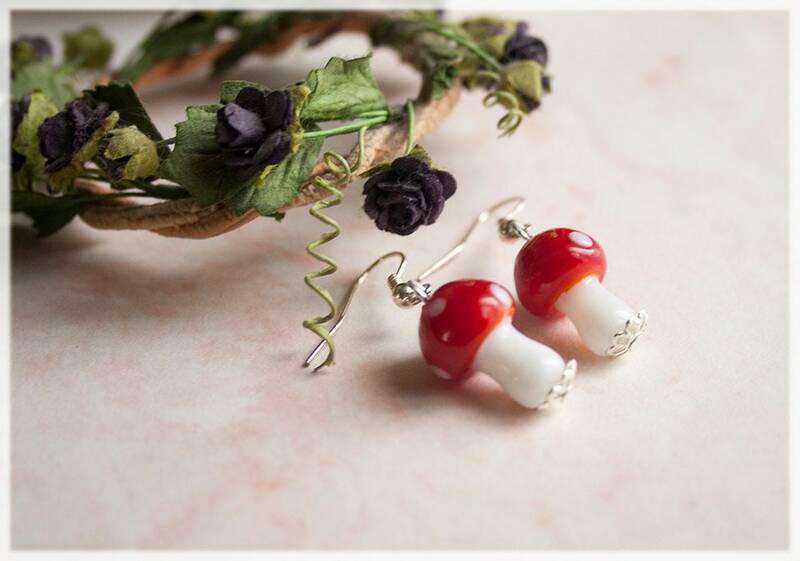 Beautifully made and just the right size I can even wear them to work and still look smart.